If you have been following me, read my posts and blogs, or heard one of my lectures, then you have definitely learned something about the health damaging effects of sugar. 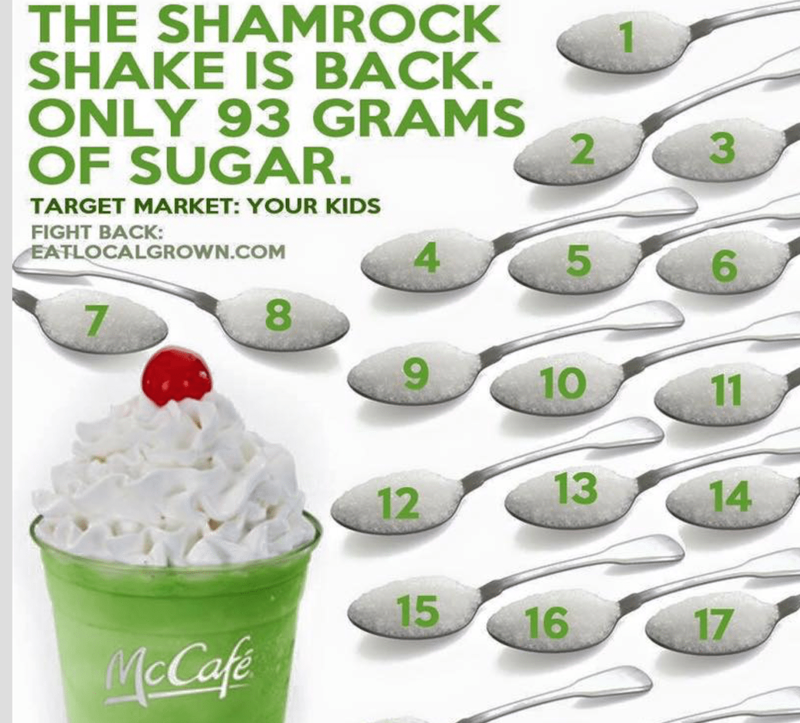 You would recognize that this amount of sugar consumption (93 grams) will shut down white blood cell production, destroy beneficial gut flora, increase risk of heart disease, raise blood pressure (by causing inflammation and depleting magnesium), deplete other nutrients like B vitamins, feed cancer cells, raise cholesterol, and so much more. Finally realizing the connection between heart disease and consumption of refined sugars, the American Heart Association recommends no more than 20 grams of added sugar DAILY for children, 150 calories per DAY (37.5 grams or 9 teaspoons) for Men, and 100 calories per DAY (25 grams or 6 teaspoons) for Women. This shake exceeds the DAILY limit of sugar for women by almost three times. So which category so you fit into? Are you healthy or unhealthy? Are you finally ready to change your health and your LIFE? Just give me a call at (239) 243-8735 and schedule your first consultation so that you can get the help and guidance you need to turn your life around.